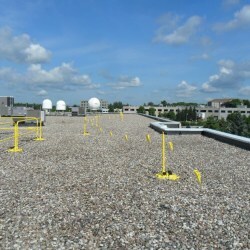 The PermaLine is one of the best rooftop warning flag systems available. 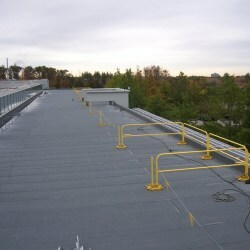 It is a permanent warning lines system that shares the same 108 lb bases as the Safety Rail 2000 guardrails. 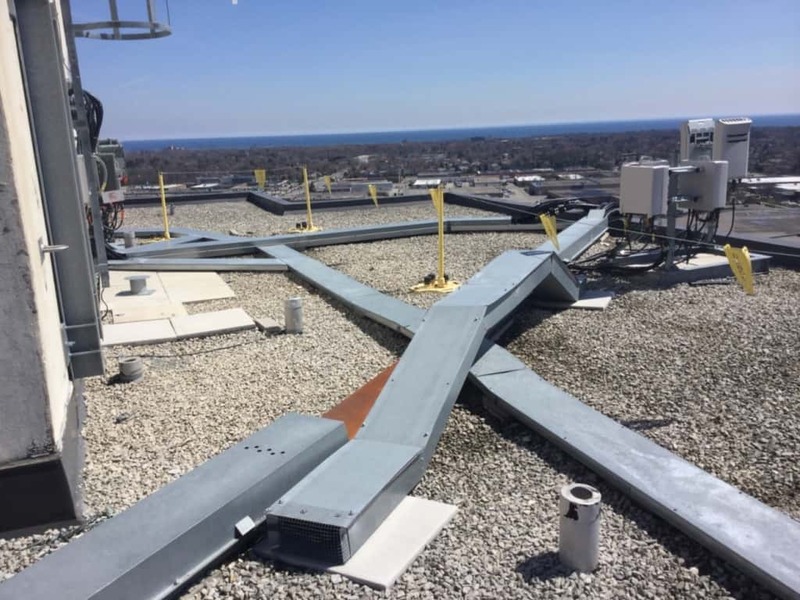 The PermaLine warning Line was designed for permanent placement of a roof warning line system for roof edge fall protection. 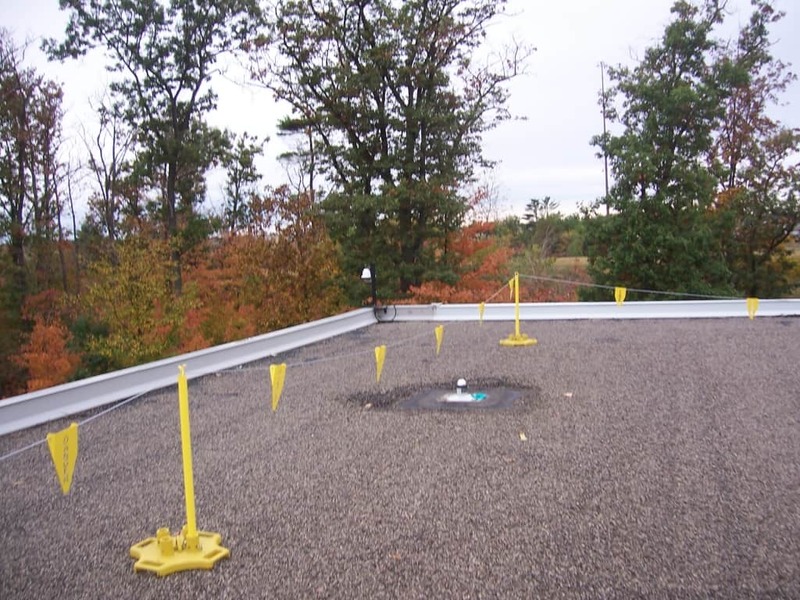 Once in place, the PermaLine remains intact until you want to move it. 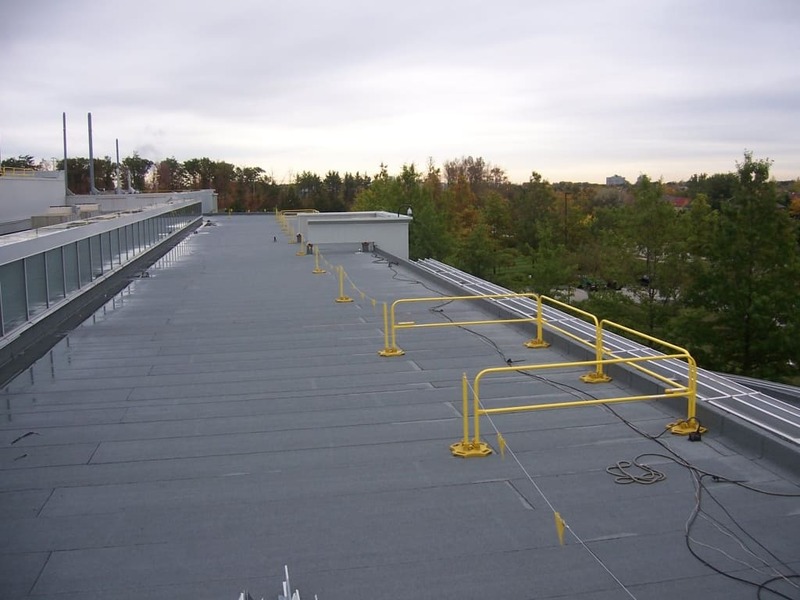 The PermaLine was designed for permanent placement of a roof warning line system for roof edge fall protection. 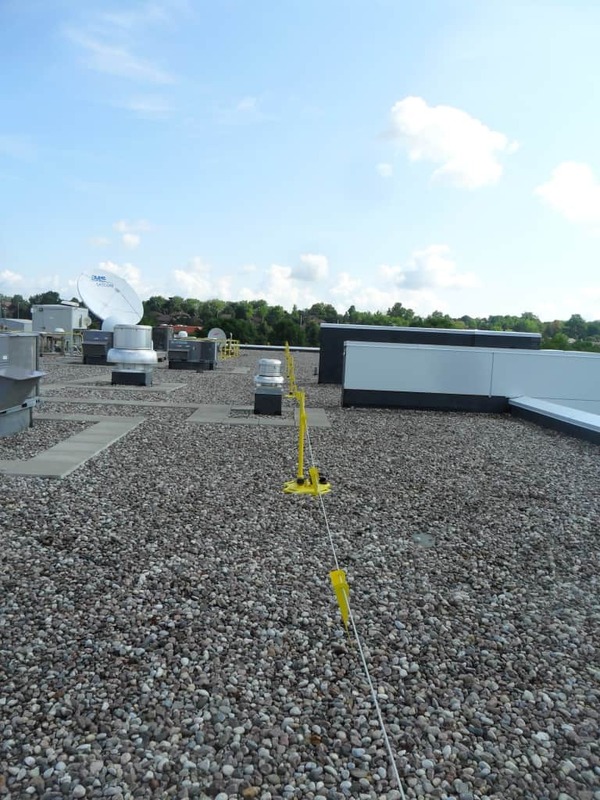 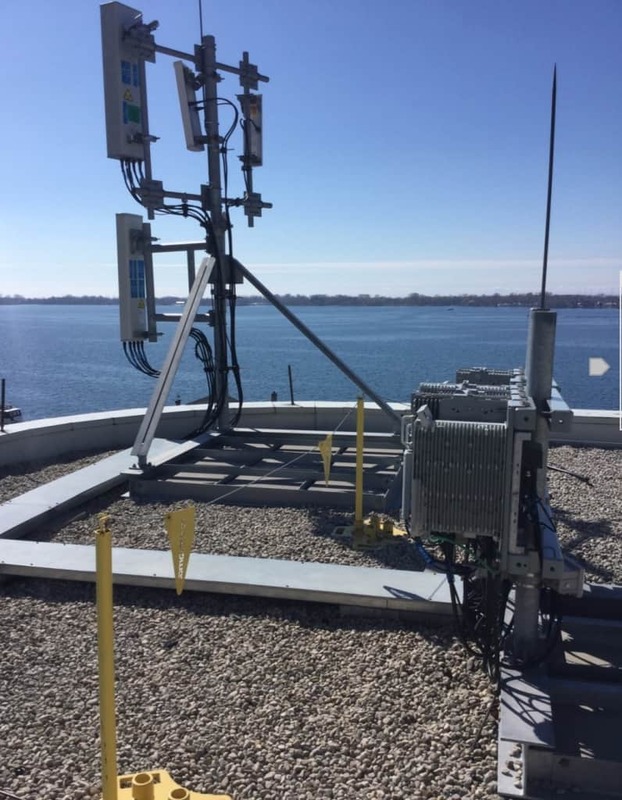 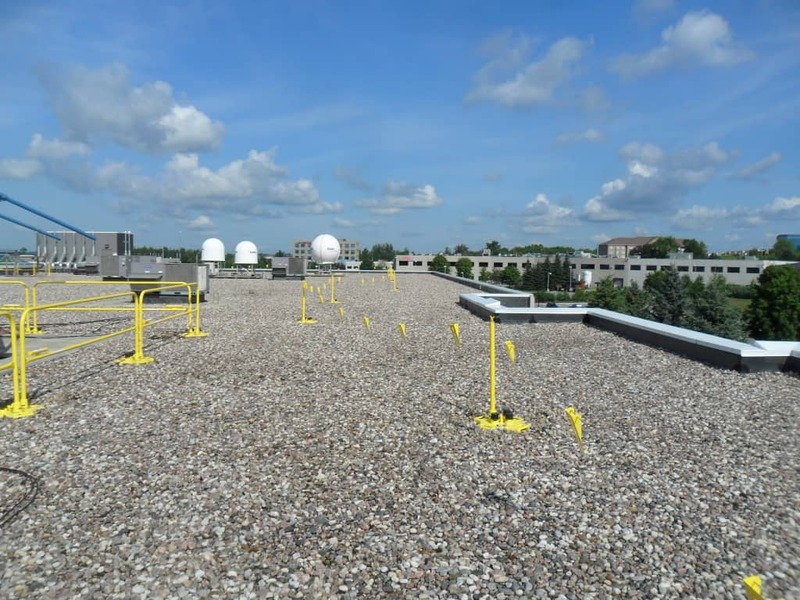 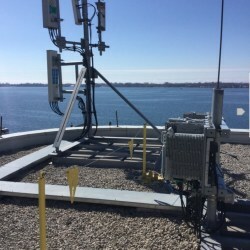 With this innovative OSHA warning line system you will no longer have to make monthly trips to your rooftop to replace torn or worn out plastic flagging. 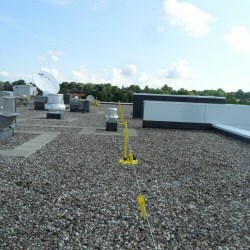 In addition, you will no longer have to inventory the flagging for future replacements on your roof warning line system. 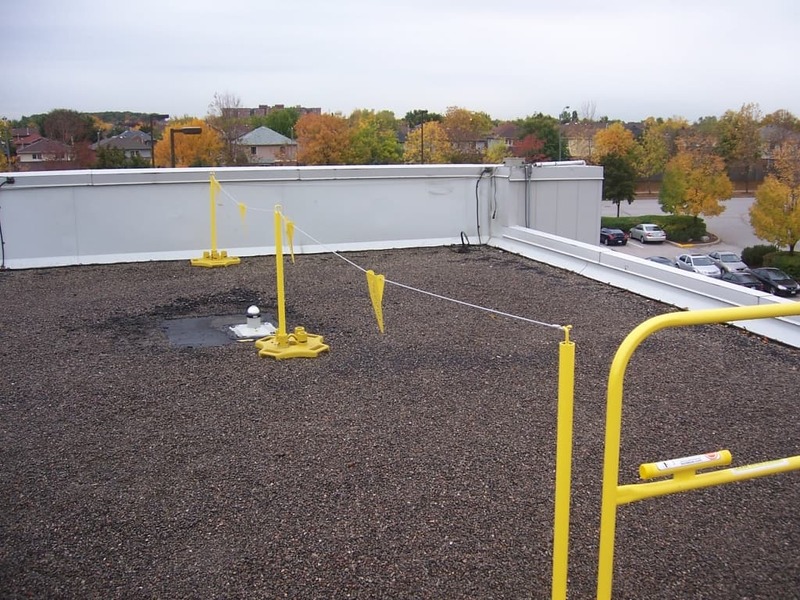 Once in place, the permanent warning lines remain intact until you want to move them. 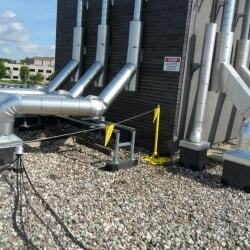 Best of all, the PermaLine is a non penetrating system. 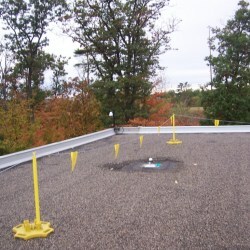 The PermaLine (Patent Pending) is one of the only permanent roof warning line systems in the marketplace. 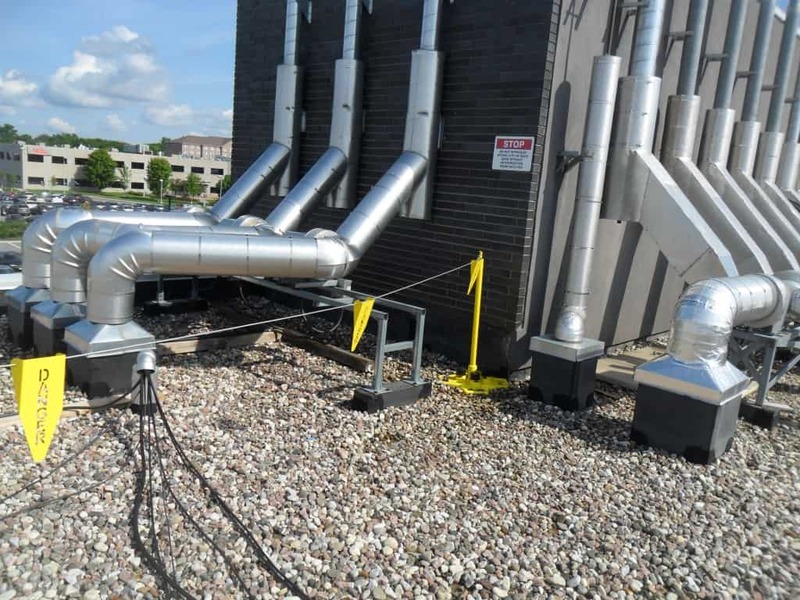 It is not a motion stopping device. 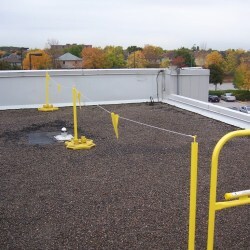 It is a highly visible warning barrier. 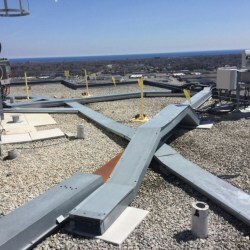 This surpasses OSHA regulations for roof warning line systems.